This PetroKnowledge Lean Project Management training course will provide many of the key methods and messages crucial for organisations to deliver better projects, improve team work and ultimately satisfy the project funders with improved ROI. Project management may be an everyday part of many companies, but it is still an area that many struggles with. Regardless of whether the project was selected based on sound facts and decisions, or how well experienced the project team may be, if it is not managed well at every step, this can lead to project issues and ultimately disappointing results for the organisation. Considering this possibility in the Oil & Gas industry is paramount to the success and stability of many projects and project organisations; aiming to reduce poor management, avoiding duplication or work or wastage of time, misuse of resources and failing to satisfy the client when the specified requirements are not met. This training course will consider how to introduce Lean to your projects and also improve your ability to make timely decisions and positively impact various projects within the Oil & Gas industry. Improve the overall quality of how a project can be delivered through your value stream. This training course is suitable to a wide range of professionals involved in the development, appraisal, implementation and management of projects. Those with previous experience in project appraisal will be able to share their expertise with others; the broad base of participants ensures that everyone benefits from a wide range of sector and policy perspectives. Participants will receive a thorough training on the subjects covered with the tutor utilising a variety of proven adult learning teaching and facilitation techniques. 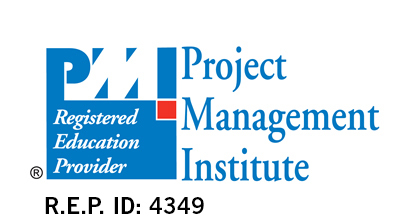 Training methodology is designed around a PMI® syllabus and includes an insight into appropriate methods as well as industry tools and processes used as practice examples. The course includes teamwork around an applicable Oil & Gas case study, with group discussion and critical analysis of project stakeholders and project context. Improved quality of all processes used in project management. and improve the overall quality of the processes to aid project delivery.